Through our laser cutting classes, explore endless possibilities for inventing and creating with lasers. Learn how to master the software, materials, and laser cutting and engraving equipment to create your own designs. Explore laser cutting, Arduino programming, and robotic automation in this challenging workshop. 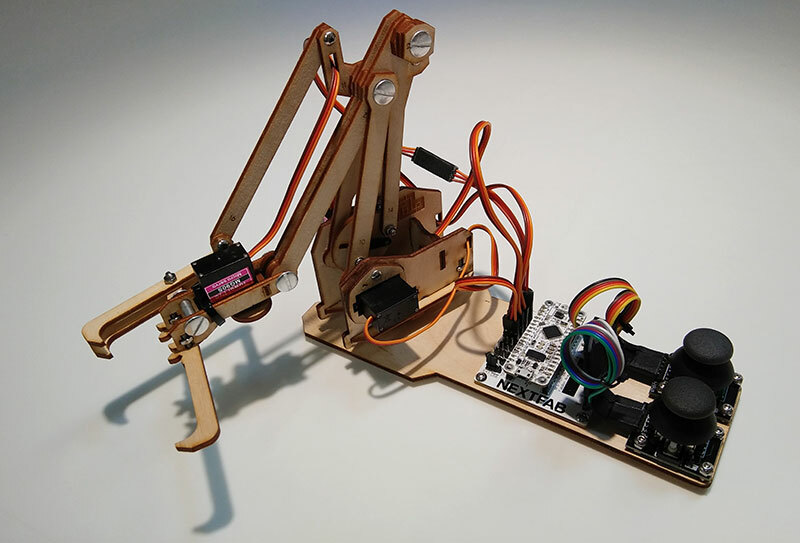 Learn specific Arduino concepts and basic robotic purpose by assembling your own robotic arm. One class fee pays for one kit. Explore various intermediate techniques on the laser. Learn about kerf, a fundamental consideration when laser cutting. Using this knowledge, create a file that inlays one piece of wood into another. Take this pathway further and create a press fit acrylic design. Practice jig-registration techniques for engraving objects not created on the laser and finally discuss how to optimally prepare a photo for engraving.